Nowadays, a lot of people are thrust into the idea that losing weight is necessary for good health. While that fact is true, other factors determine a person’s overall health and well-being. However, most people view the means of shedding pounds as being at the top of the list. In light of this, many diet trends have been experimented by nutritionists and fitness experts for a long time. Various diet plans have been introduced and have been on the rise in recent years. Media and celebrity eating fads have also influenced modern society regarding the evolution of many diet trends. People are conditioned with the concept that minimizing the consumption of certain foods can help them achieve their weight goals. The kind of food we eat generally influences how healthy we are. It is because, in recent years, we are bombarded by all kinds of unhealthy and processed foods. Often, these processed foods can deceive us into thinking that we are eating right. However, proper nutrition still comes down to eating more fresh and whole foods. In this list, the top diet explains what it means in losing weight safely and healthily while not making the idea of eating whole foods tedious. When you hear the word keto, the first thing that comes to mind is low carbs and high fat. The Keto diet is now becoming one of the fastest trending diets in 2019. What makes this diet popular is the idea that a person loses weight fast when fat is used as fuel for our energy instead of sugar from carbohydrates. Therefore with this diet, a person needs to consume more foods that contain fat and less or no carbohydrates at all. This puts our body into a process known as a state of ketosis. Pros: Many have claimed that following the keto diet have not only helped lose substantial weight, but also helped improve energy levels, and memory and focus. Cons: While eating more fat than carbohydrates is a good thing, the keto diet excludes many of the core food groups. This includes fruits, vegetables, whole grains, and even dairy. At certain levels, the keto diet can often be associated with starvation and is not a sustainable diet plan. The keto diet also shows short-term side effects including nausea, fatigue, headaches, bad breath, and constipation. From the word Paleo, it is short for Paleolithic. This diet follows consuming foods that our ancestors ate millions of years ago. These main food sources involve fruits, vegetables, insects, nuts and lots of meat. This type of diet is essentially high in protein and fat and low in carbohydrates. This means that meat consumption is prominent while cutting out whole grains, legumes, and even dairy. Pros: The Paleo Diet is simple as it means only eating what is basic. It just implies filling up on whole and clean foods for better digestion while cutting out processed food completely. Cons: While the Paleo diet is good, it still eliminates other important food groups. As a result, we become nutrient-deficient at a long-term. This diet means following the premise of peasant-style diet commonly found in village areas of Greece, Italy, Morocco, and Spain. This diet includes an increase in fruits, vegetables, legumes, nuts, grains, and fermented foods. Not only that, most of the meals in this diet would use olive oil in cooking and dressing. According to health studies, the Mediterranean diet is known to be one of the healthiest diets globally. Pros: Following this diet would mean preventing lifestyle-related diseases like diabetes, cancer and heart diseases. It is because of the balance in nutrients taken from the food included in this diet. Cons: This type of diet does not suggest specific daily diet recommendations. There is also no exact calorie intake as to the foods to achieve its purpose. By the word itself, this diet would mean eating foods that are low in cholesterol and saturated fat content. A vegan diet would include an abundance of fresh fruits, vegetables, and legumes. Pros: People who are at risk of chronic diseases like cancer and heart diseases would need this kind of diet. It is because of the rich amount of antioxidants found in the foods to eat. Antioxidants essentially protect our cells from free radical damages. Cons: A vegan diet would mean cutting out other important food groups like dairy, and protein. We would miss on nutrients found in dairy and protein and can lead to other diseases related to nutrient deficiency. The DASH diet is short for Dietary Approaches to Stop Hypertension. It is considered one of the top diet trends because of its approach to preventing high blood pressure through healthy eating. At the same time, it also helps you sustainably lose the extra weight. This diet would mean eating more whole grains, lean protein as well as fruits and vegetables. This diet emphasizes a decrease in fat and sugar and more on fiber and protein. Pros: It’s intended to lower blood pressure and cholesterol levels by avoiding eating foods loaded with fat and sugar. It also helps you cook your meals using fresh and whole ingredients. It is also supported by health organizations. Cons: Although the DASH diet helps lower cholesterol and blood pressure, its main goal is not focused on weight loss. This type of diet would also mean preparing meals from scratch as it does not encourage buying commercial meals. The idea of the Whole30 diet is to strictly cut out main food groups such as natural sugars, dairy, grains, and legumes. It is intended to reset the health through a much-controlled diet and should not commit any slip-ups during the entire diet program. Pros: As its name implies, the whole30 diet helps you lose weight by eating whole foods exclusively for 30 days. Since consuming sugar contributes to weight gain, the diet highly avoids eating any form of sugar whether artificial or natural. Cons: Although this diet strictly follows eating whole and fresh foods, it still cuts out core food groups. These food groups include grains, dairy, and legumes which our body needs for fiber and essential vitamins like iron, folate, and magnesium. 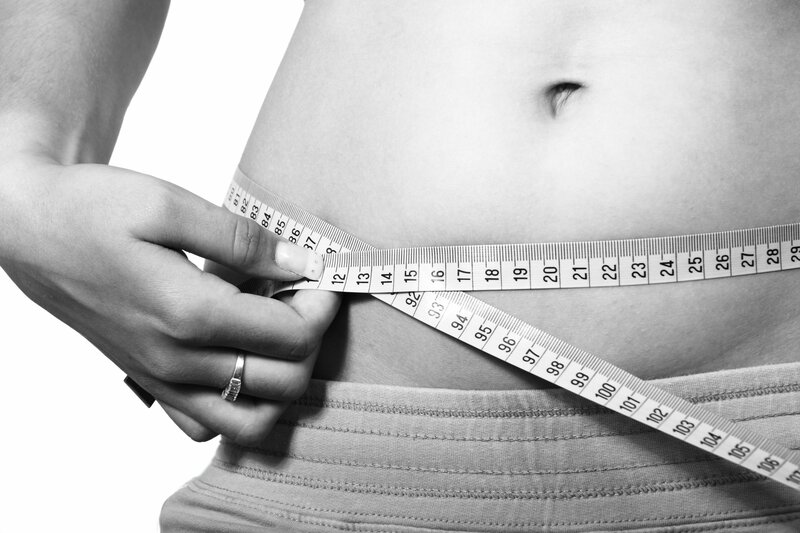 When choosing a diet plan, it is necessary to keep in mind that the goal is not to have a quick fix. Instead, it should be sustainable and encourages eating all the important food groups. Additionally, the diet you choose should have a delicious but healthy approach that you will enjoy daily. Lastly, before choosing a diet program, make sure to consult your doctor or dietician first.